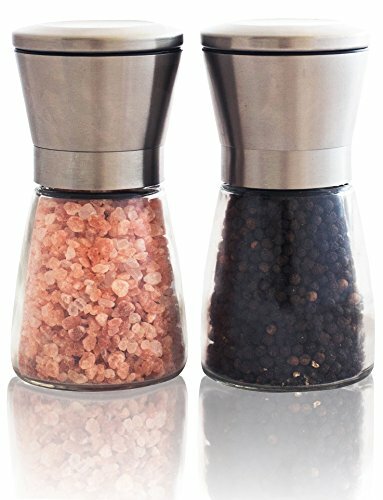 CLEAR GLASS BODY - Stores and displays up to 3/4 cup of your favorite Himalayan Pink salt or peppercorn. Its compact design allows for ergonomic use and convenient storage. 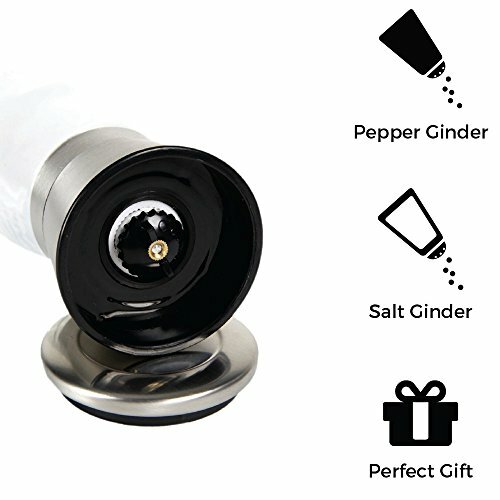 It uses an easy twist mechanism to refill with your favorite spices. CERAMIC ROTOR MECHANISM - Intricately designed rotor mechanism peels layer of pepper corn and shaves salt crystals to produce the most intense flavors. 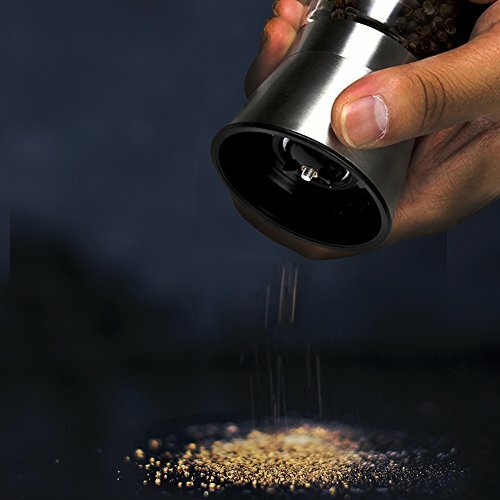 The adjustable rotor allows for full control of fine to coarse seasoning. CAP FOR NO MESS - Maintains the shelf life and freshness of the spices. This easy-to-use snap-on cap is crafted for practical everyday use. 100% GUARANTEED! 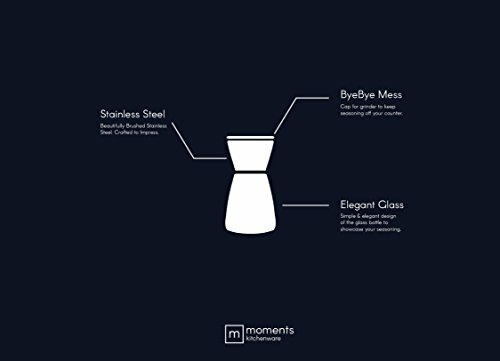 Here at Moments Kitchenware we value your opinion. 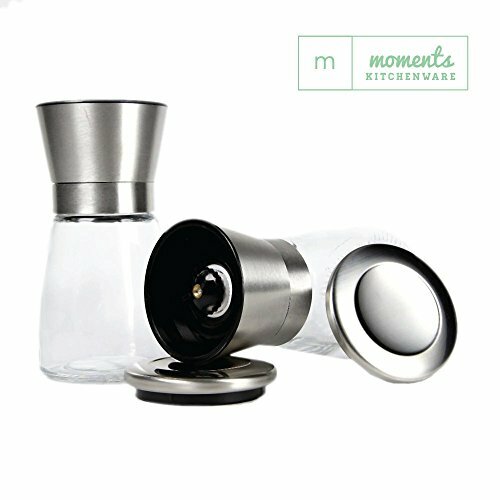 If you have any problems or concerns with our Salt & Pepper Grinder set feel free to contact us. Your satisfaction is our top priority.